**Official MyGift® product includes multipurpose cleaning towel. ** Plant not included. 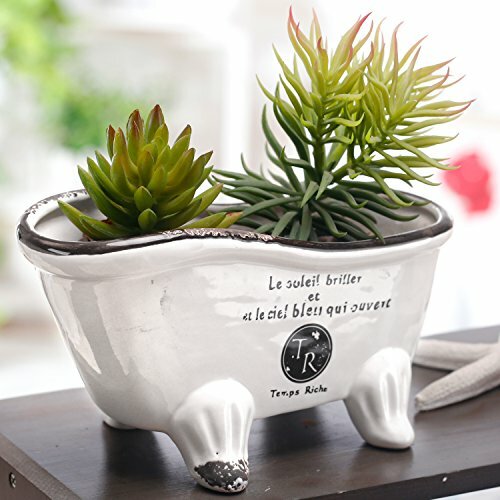 Approximate Dimensions: 8.85 L x 4.72 H x 3.54 W.
A charming French style porcelain claw foot bathtub style ideal for use as a small planter, soap dish, or accessories tray. The classic white bathtub decor is contrasted with dark brown rustic old french script and weathered lines. Drainage hole at bottom of each planter helps prevents overwatering.